If you struggle with choosing between having a drink with dinner, or holding out for dessert, here’s some good news: you don’t have to! 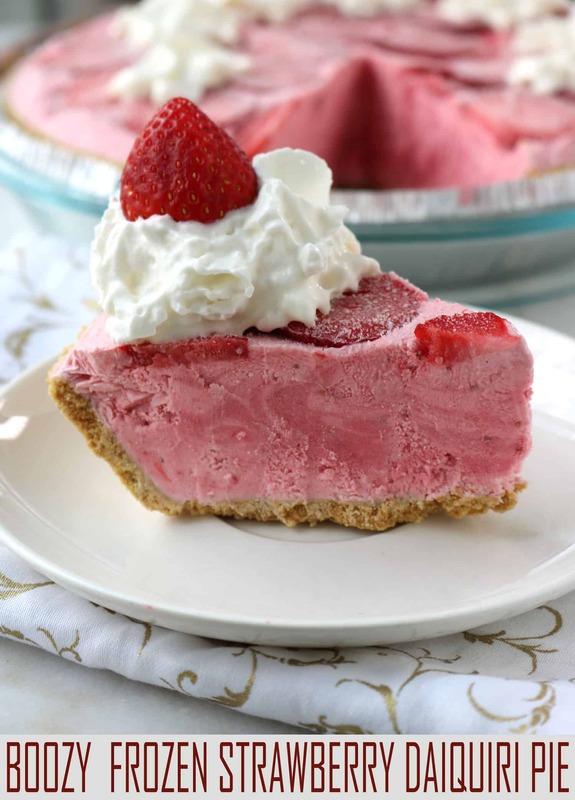 Boozy Frozen Strawberry Daiquiri Pie truly is the best of both worlds. Daiquiris are a family of cocktails whose main ingredients are rum, citrus juice, and sugar or other sweetener. Daiquiri is also the name of a beach located near Santiago de Cuba, where the drink was supposedly invented. While a traditional daiquiri is made with lime juice, the frozen strawberry daiquiri is one of the most popular flavors around, and is considered by many to be one of the quintessential summertime drinks. 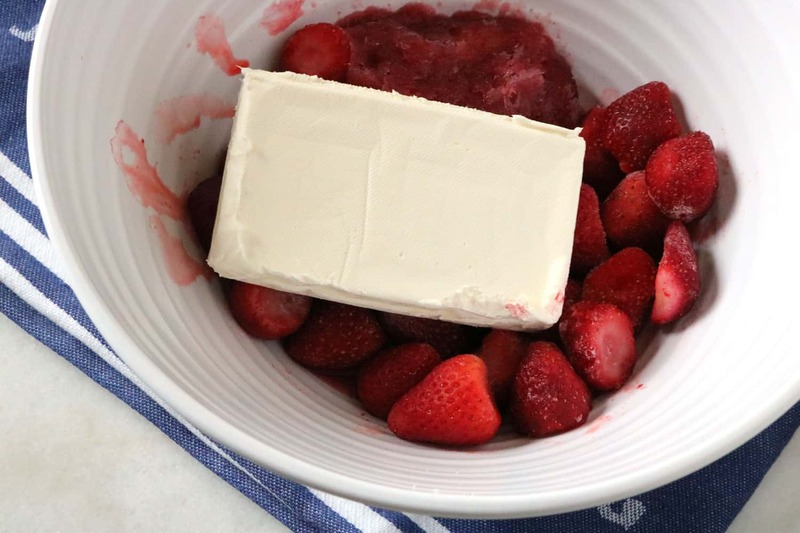 And, what’s better for summer than pairing a classic frozen drink with a no-bake, frozen sweet treat? Not only is this pie recipe a breeze to make, it’s adaptable. 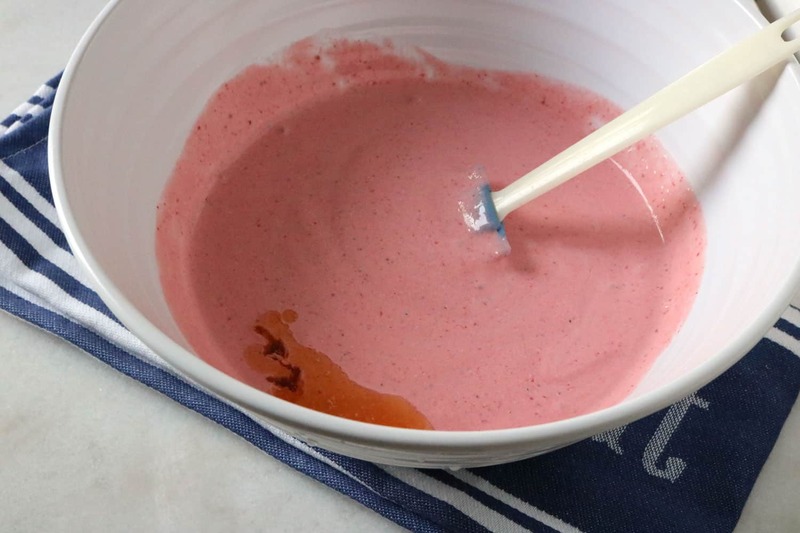 You can easily swap the strawberries for slices of peach or mango, and use the accompanying flavor of mixer. You can even put a margarita spin on it by replacing the rum with a shot of tequila. To make it non-alcoholic (and kid-friendly), simply use rum extract. Or, try making your own rum substitute, which is surprisingly easy. To replace 2 tablespoons of rum: combine 2 tablespoons of pineapple juice with 1 teaspoon of almond extract. You can also use a teaspoon of apple cider instead of the almond extract. 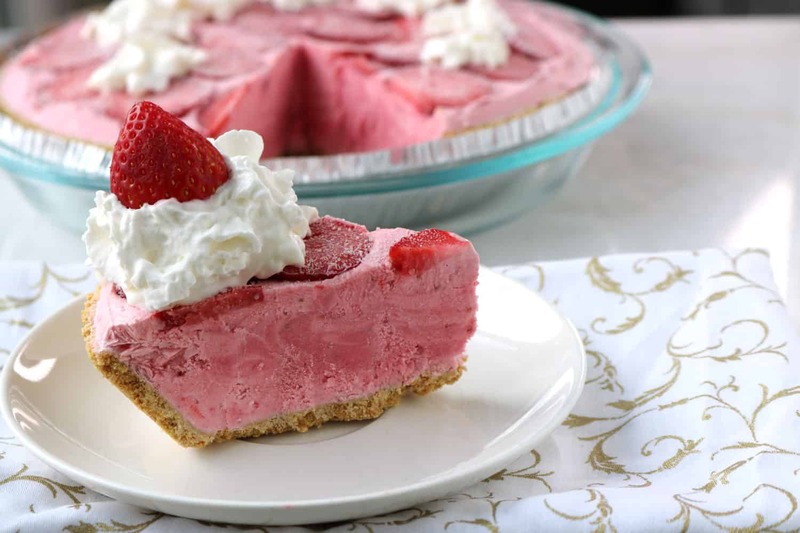 Any way you slice it, this Boozy Frozen Strawberry Daiquiri Pie Recipe is the perfect choice for all your summer celebrations. 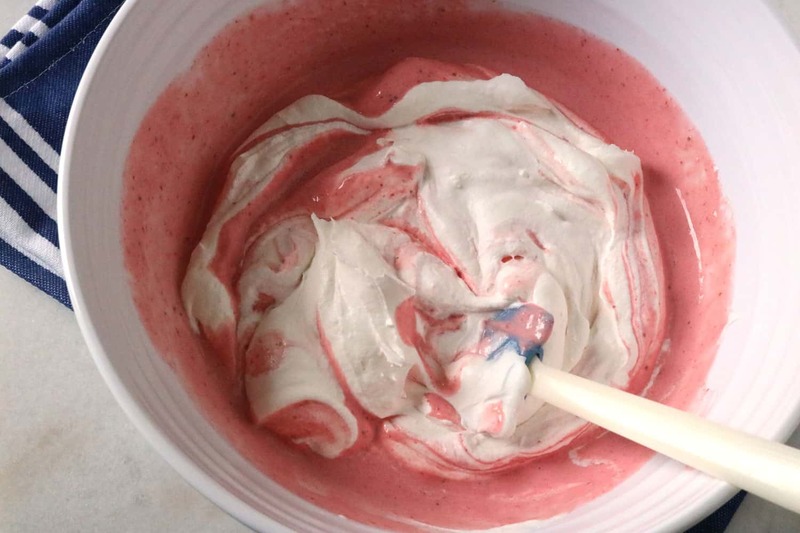 Step #1: Combine the strawberries, cream cheese and daiquiri mix in a blender or food processor. Step #2: Pour into a bowl and mix in the rum (or rum extract, for a non-alcoholic option). Step #3: Add in the whipped topping. Step #4: Fold until just combined (don’t over mix). 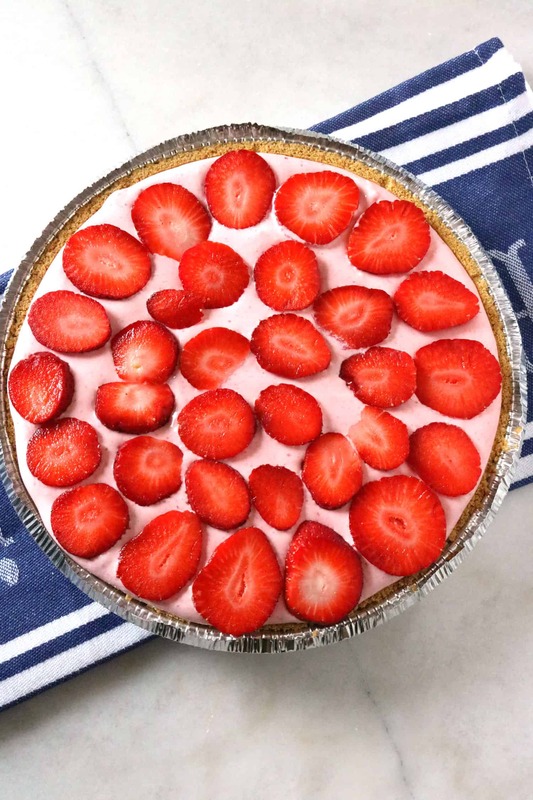 Step #5: Pour mixture into pie crust and top with fresh sliced strawberries. Place in freezer for 4-6 hours, or until firm. Step #6: Let stand for 5-10 minutes at room temperature before slicing, and be sure to freeze remaining pie. To Serve: top with whipped topping and a fresh strawberry. 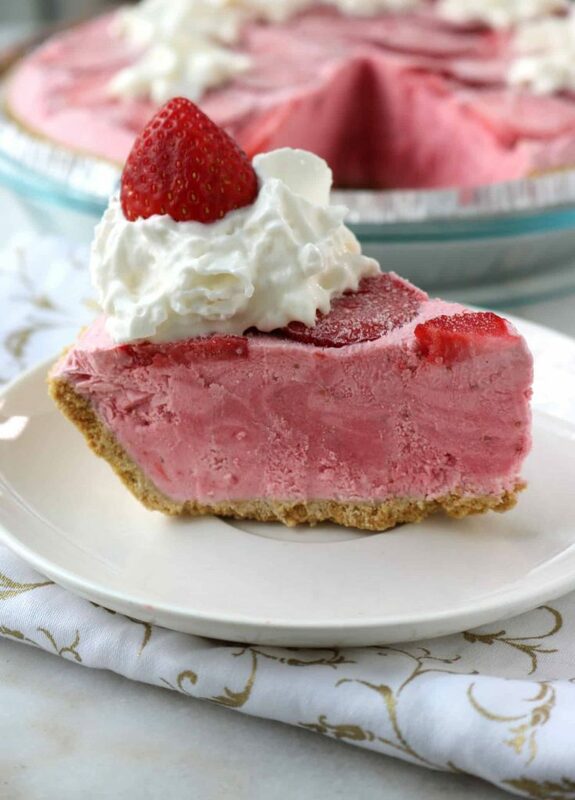 Boozy Frozen Strawberry Daiquiri Pie — a delicious frozen cocktail, served on a plate! Combine strawberries. 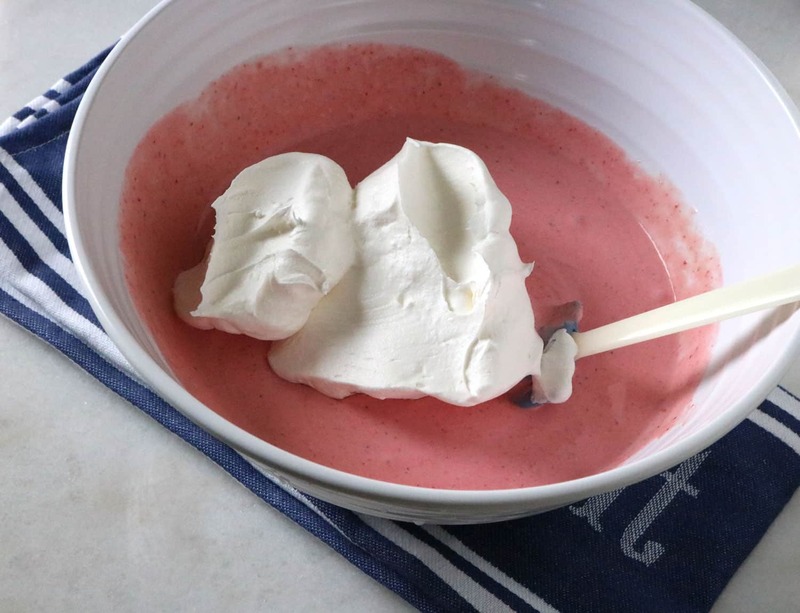 cream cheese and daiquiri mix in blender or food processor. Pour into bowl and mix in rum. Fold in whipped topping. Pour mixture into pie crust and freeze 4-6 hours, or until firm. 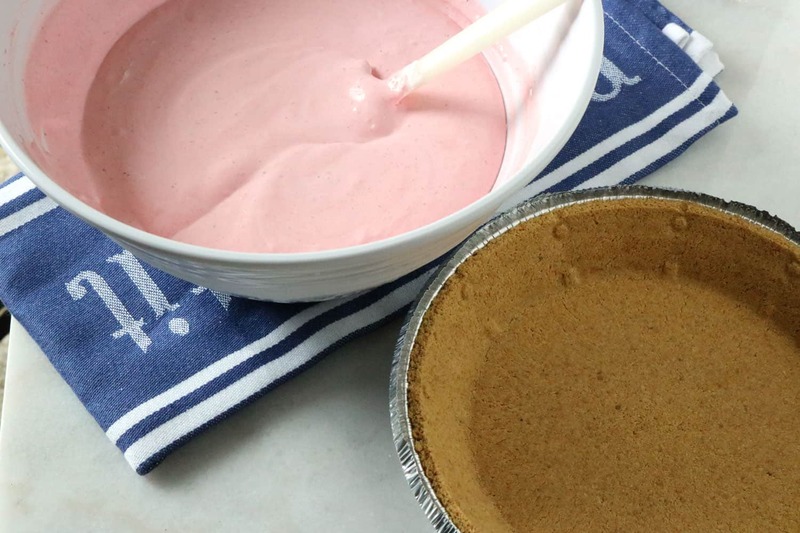 Let stand 5-10 minutes at room temperature before slicing, and be sure to freeze remaining pie.